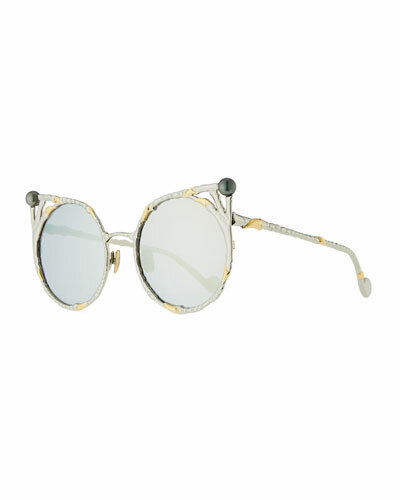 Anna-Karin Karlsson launched her line of classic and glamorous eyewear in 2011. 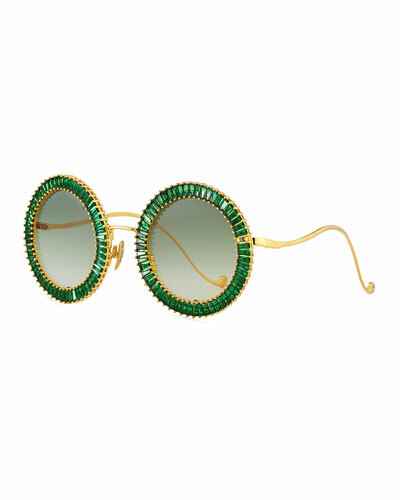 The designer’s interest in eyewear design stems from her experience of working in the oldest optician’s store in London. Anna-Karin Karlsson sunglasses feature bold designs, vivid patterns, and carved flowers. The collection is captivating for its edgy and artistic frames adorned with bird, animal, and floral prints. Cat-eye, rectangular, and square shaped sunglasses display impeccable finish with a touch of whimsy. 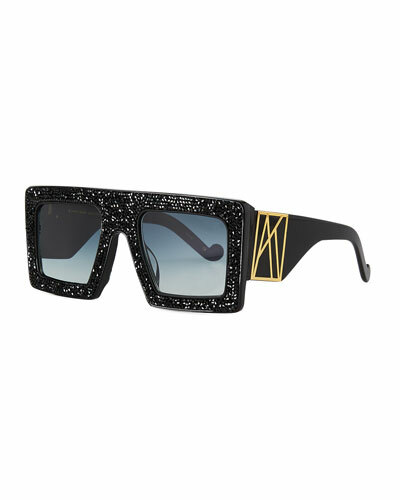 Shop Neiman Marcus’ assortment Anna-Karin Karlsson shield sunglasses, butterfly sunglasses, and much more.